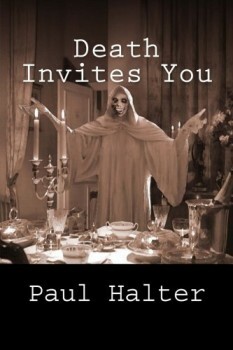 #62: Death Invites You by Paul Halter is now available! Being the massive Paul Halter fanboy that I am, it is with some delight that I belatedly realise the most recent translation of his from John Pugmire and Locked Room International is now available in print from a variety of sources and in e-book from your favourite rainforest-named purveyor of all things. A locked-room murder of an expert in locked-room murders, I imagine this is how all crime writers would secretly love to go out. It’s a fiendish little puzzle that I fully and very enthusiastically recommend, and I’ll get a review up in due course. And it has that delightfully grotesque cover…what’s not to love? Yes, I have noted. That is my next book after finishing The 3 Tiers Of Fantasy.